In the months leading up to the mid-terms, Americans for Limited Government aimed at uncovering injustices! 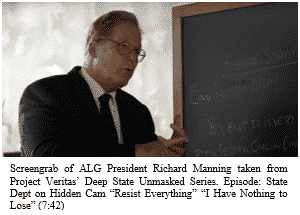 Because of you, ALG President Richard Manning served as the issue expert on how to fire the swamp for James O’Keefe’s “Deep State Unmasked” videos. Congress has continued to dramatically underfund the one part of the Labor Department that oversees union corruption. Because of you, ALGF was able to research and reveal that under the Obama Administration Labor Department, criminal investigations of labor union corruption dropped by 40 percent. The same report showed that indictments of high-level labor union officials fell by 29 percent, resulting in corrupt labor unions running amuck. By alerting Congress to this epidemic, we are taking the first steps in resolving this issue. With your help, America has a new Supreme Court Justice. One who vows to uphold the Constitution as it was written, just as the Founding Fathers intended. As you saw firsthand, the new liberal mob waged a war on due process during the confirmation of Justice Brett Kavanaugh. 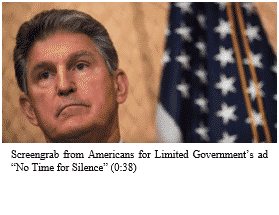 Because of you, ALG ran an ad aimed at West Virginia Senator Joe Manchin who delivered a key vote to confirm Kavanaugh. The ad was run on CNN during Don Lemon’s Show. He cited our ad as one that aims to sway Senator Manchin’s critical vote in favor of confirmation. As you might have noticed, with your help, ALG’s hard hitting ad helped to push the good people of West Virginia to contact Senator Manchin urging the him to do the right thing and stand up to the mob. Today, Kavanaugh sits on the Supreme Court because of you. With your help, we WILL beat the mob!